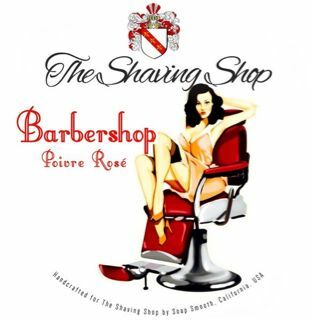 TSS Barbershop Poivre Rosé has caught my attention as a complex barbershop scent. "This unique barbershop scent consists of: Pink Pepper, Violet, Geranium, Rose, Lemon, Clary Sage, Nutmeg, Vanilla, Amber & Patchouli and has been masterfully designed by Steve Kogan of Soap Smooth. " Hello i was wondering what's your opinion...about the ''emerald moss'' and the ''a midnight in paris'' shave soap scents. Is emerald moss close to the sir irisch moos stick? I'll ask Peter to join and answer your questions, but if you have questions for me and my 5 soaps that I make for him, I'd be happy to answer. I have asked him(mr Charkalis) but i was wondering what other people believe.You see the more opinions the best results! Btw thanks for your answer and the whole help! I definitely am going to buy the emerald moss although i would love to see a more gardener photo on the tub.But that's because im getting scared when i see film's about space or knights. Anyway i love fougere soaps and i have a lot.I was waiting for a sir irisch moos replica soap and finally this became a reality. Anyone know who is the artisan that makes this specific soap for The Shaving Shop? Is it Oleo Soapworks? I have this soap and have been really impressed with its ease of lathering and its performance - but would love to know who makes it, so buy their other soaps. I have the Barbershop Poivre Rose and the scent to me is similar to Wholly Kaw King of Oud. I also have TSS The Savoy which was made by Henri et Victoria and is extremely close scent wise to Cognac & Cuban Cigars which is also from Henri et Victoria. I have both soaps up for trade on a couple of other forums. (01-27-2018, 07:58 PM)FancyDan Wrote: Anyone know who is the artisan that makes this specific soap for The Shaving Shop? Is it Oleo Soapworks? Ahh! Missed that. Should have read more closely. Thanks.